I was at the craft store the other day and I almost lost it when I caught sight of the aisles and aisles of Christmas decorations. I love the holidays (fiercely) but I’m totally one of those holiday purists who wants to savor each one, one at a time. First Halloween, then Thanksgiving, then Christmas and New Year’s. 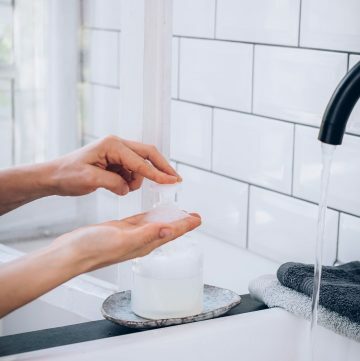 No skipping around and definitely no jumping the gun — that’s a total party foul. But that doesn’t mean you can’t break out the non-holiday winter decorations on September 1st, right? 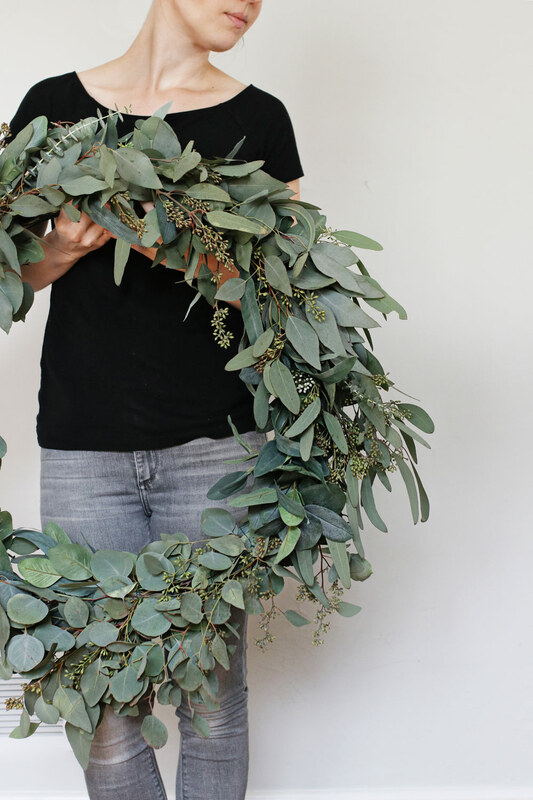 This eucalyptus wreath is the perfect way to make your home feel warm and festive, without breaking the rules and busting out the stockings and string lights two months early. I made a wreath for our front door a few years ago because all the pretty ones in the stores were too pricey. Lo and behold that one lasted us years! But with a couple broken branches and some sad looking buds, I thought it was high time for a new one. 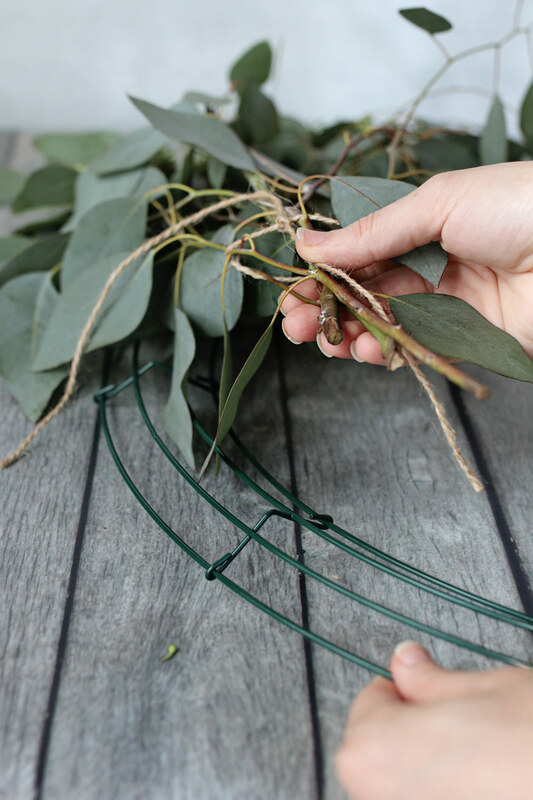 All you really need to make this eucalyptus wreath is some floral wire or twine, scissors, a wreath base and some fresh eucalyptus. 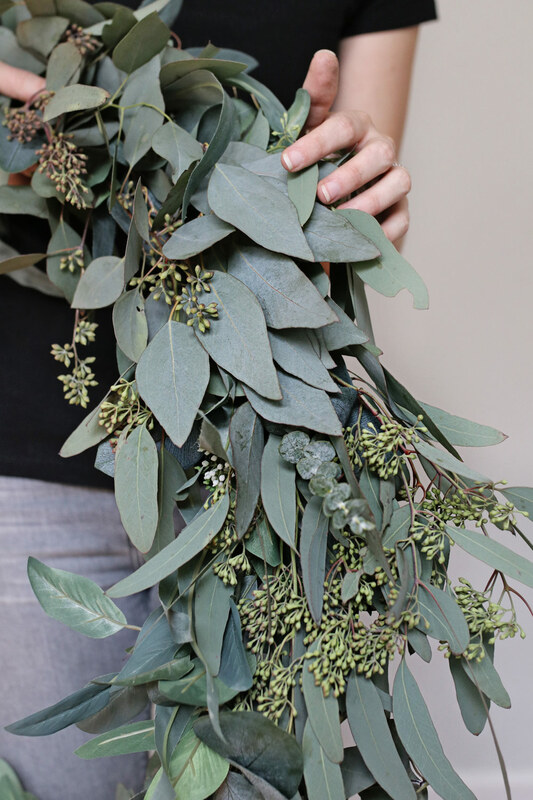 There are lots of different types of eucalyptus, but I like the seeded or silver dollar varieties because they dry out so nicely and they have that stereotypical eucalyptus look to them. I actually found several different kinds at Trader Joe’s for about $3 a bunch — which is a total steal when it comes to a wreath this big. And because this wreath doesn’t scream Christmas, it will work all winter and maybe even into spring. 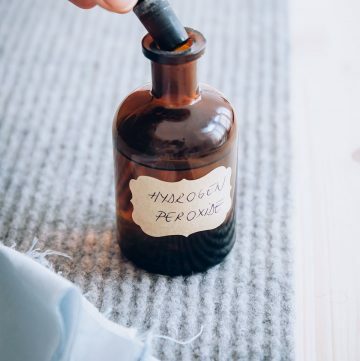 Just make sure to keep it out of the hot sun and to carefully stow it away where it won’t get crushed. The dried eucalyptus leaves should look great for years to come. 1. 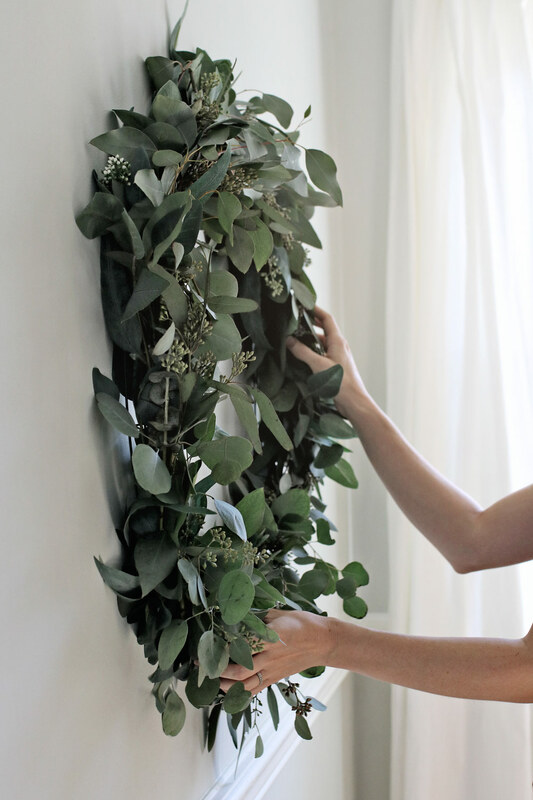 Start by creating small bundles of greenery. 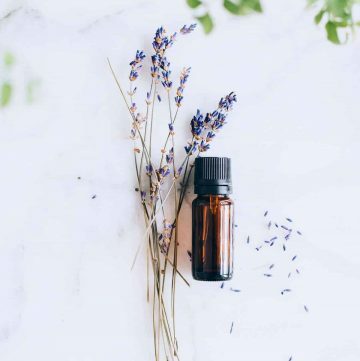 If using different kinds of eucalyptus, take a stem or two of each different kind and gather them into a bouquet of about 6 or 8 stems. 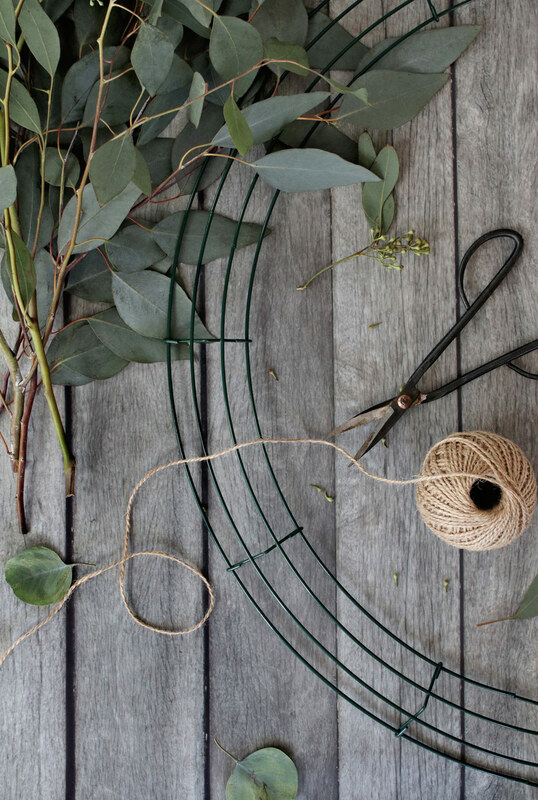 Secure the base of the bundle with string or floral wire. 2. 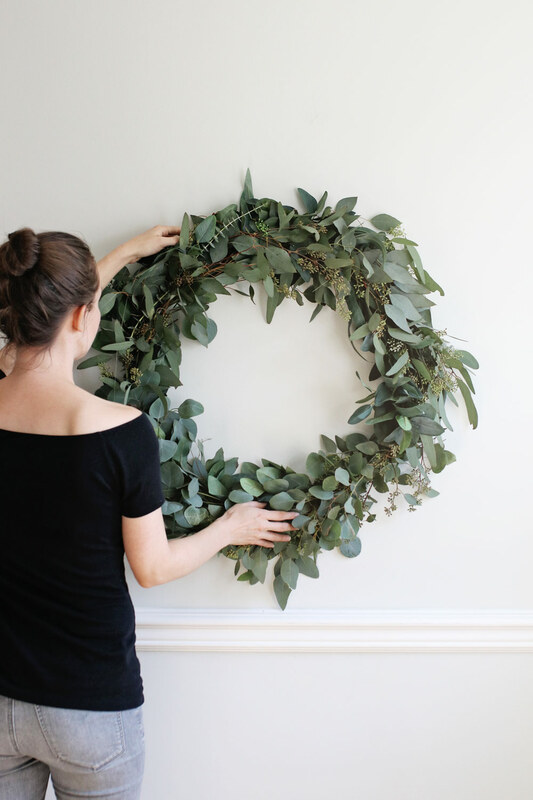 Once you have about 10 bundles, began tying the bundles to the wreath form one at a time. The trick is to make the bundles thick enough so that you can’t see the wreath form or string/wire underneath. 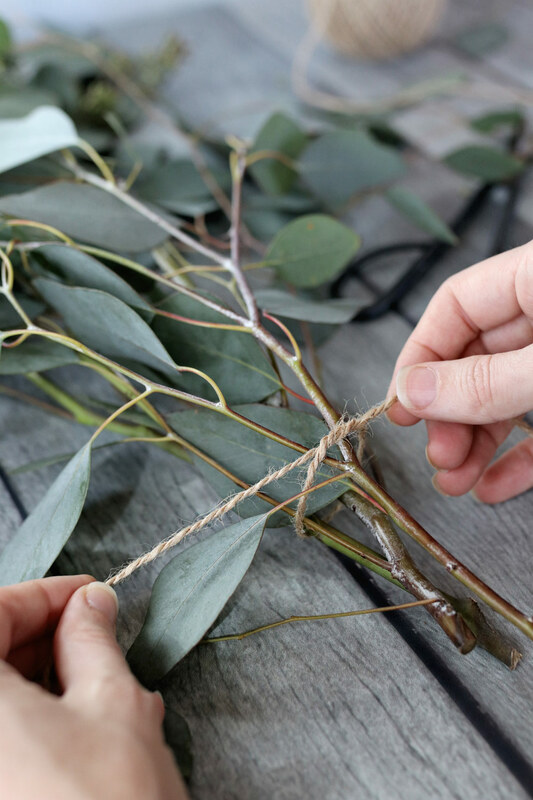 Attach your first bundle, then lay your next bundle slightly over top that first one in such a way as to hide the greenery stems and wire. Continue moving around the form, overlapping the bundles until you’ve covered the form completely. Then go back and fill in any bald looking spots, if needed. 3. 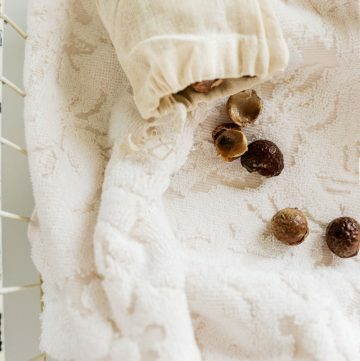 To hang, attach a ribbon from the top or simply secure the metal wreath form to a hook. That’s it! 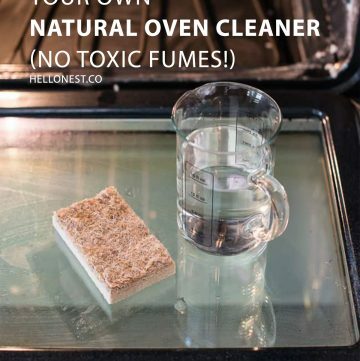 Just make sure when you store it, you keep it on top of your storage bin so it doesn’t get crushed.